Maintaining your car, boat or RV on an ongoing basis can be a daunting task, but TruRinse is here to help. One way to prolong the life and beauty of your recreational vehicles is to keep them in top condition, inside and out. You want to be able to enjoy them for years to come, and keeping them professionally maintained will help. The chemical-free process we use on the carpet and furniture in your home is the same as we use on your vehicles. We’ll clean the upholstery, carpet and tiles with the friendly care and professionalism you’ve come to expect from TruRinse! After our amazing technicians get your vehicle as clean as can be, you may consider having them apply a protectant, which will help prolong the clean as well as protect from heat and sun exposure. This can be especially important for the interior of your cars, boats and RVs, since they spend a good amount of time in the great outdoors. The interior of your car obviously doesn’t need to be cleaned as often as the exterior, but having the interior cleaned periodically will keep it looking fresh and new for many years. If you have children, there’s an even greater need to maintain the carpets and upholstery in your vehicles – and remember that our products are completely non-toxic…..you could drink them if you wanted! 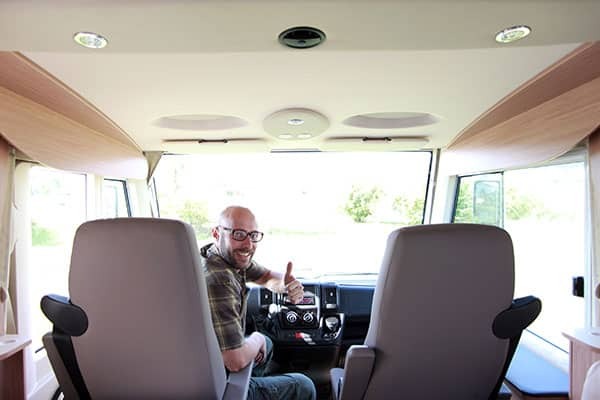 If your vehicle’s interior needs a good cleaning, call on TruRinse to experience the best of RV cleaning, car cleaning, and boat carpet cleaner services.